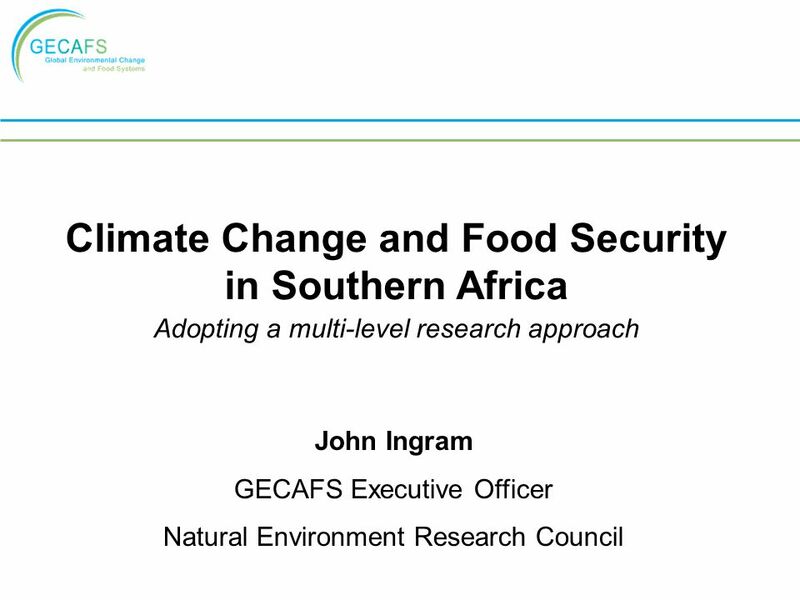 Climate Change and Food Security in Southern Africa Adopting a multi-level research approach John Ingram GECAFS Executive Officer Natural Environment Research. 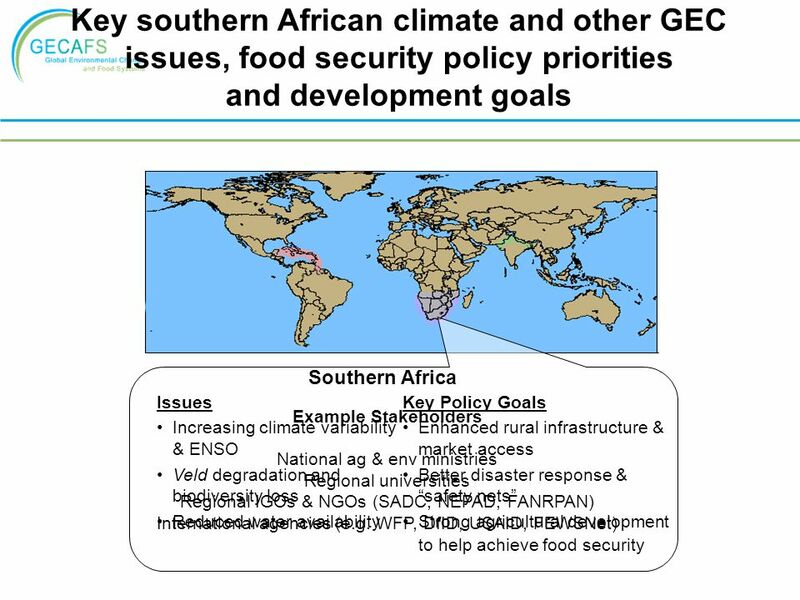 Download ppt "Climate Change and Food Security in Southern Africa Adopting a multi-level research approach John Ingram GECAFS Executive Officer Natural Environment Research." 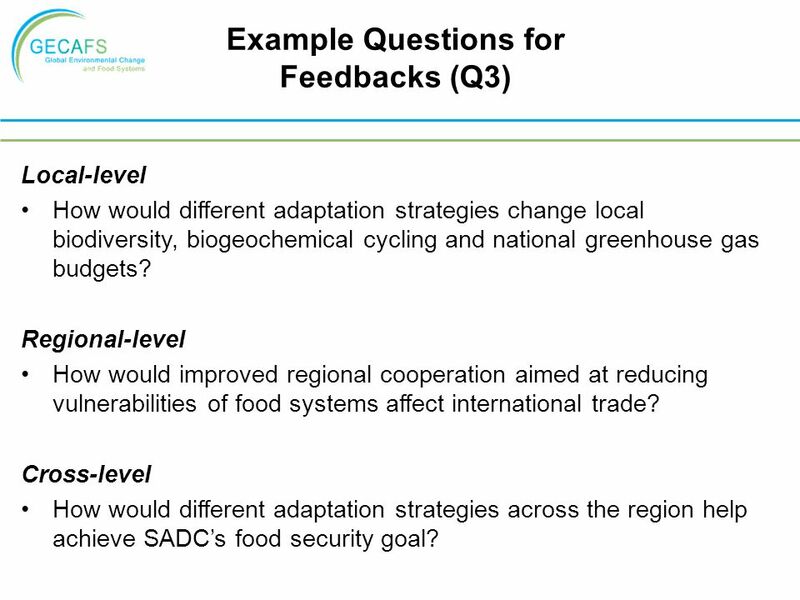 Adaptation experiences in South Africa Ms Lwandle Mqadi The SouthSouthNorth Group: Southern Africa Office. 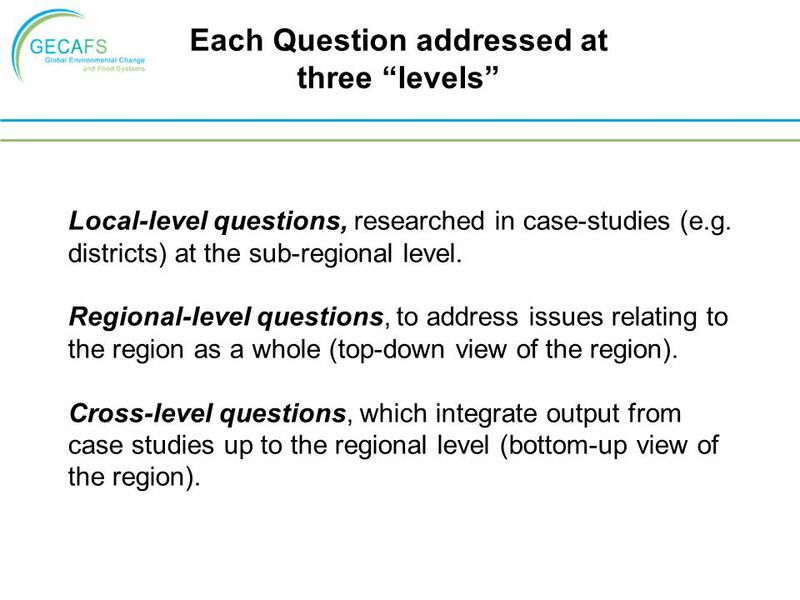 Step 2 Draft a set of four prototype regional scenarios based on the broad rationale, assumptions and outcomes of the MA scenarios exercise, but allowing. 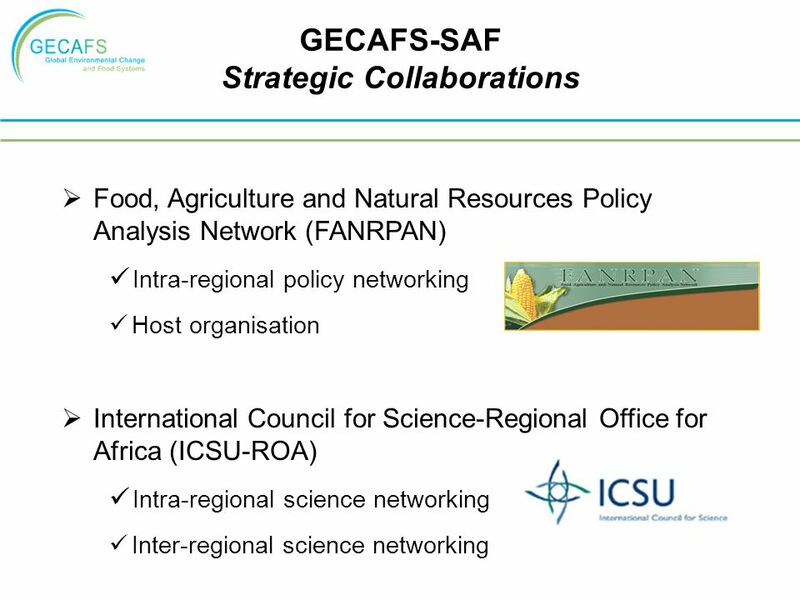 Natural Resources & Environment Thematic Thrust FANRPAN Partners’ Meeting 13 June 2011 Pretoria, South Africa. 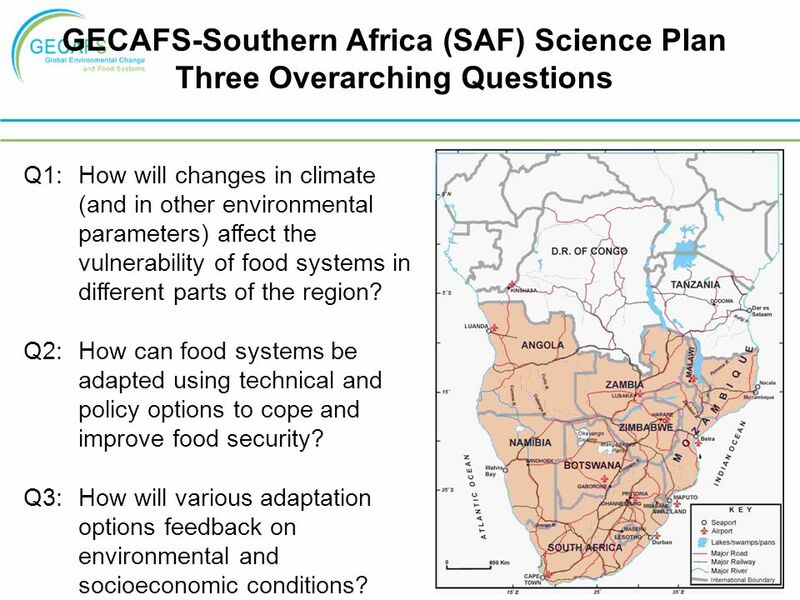 Climate change and food security in southern Africa: implications of theoretical development for the promotion of sustainable equitable development Katharine. 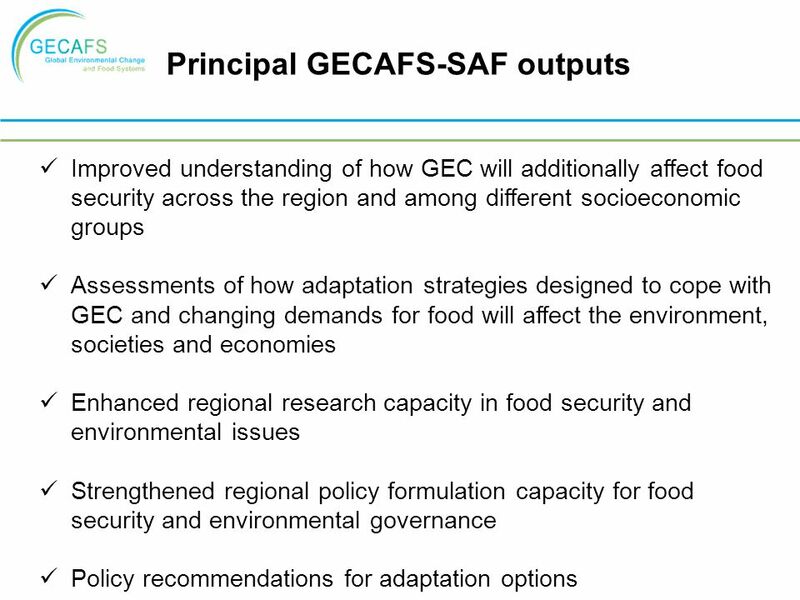 Climate Change and Food Security background issues and an international research response Professor Diana Liverman Chair, GECAFS Environmental Change Institute. 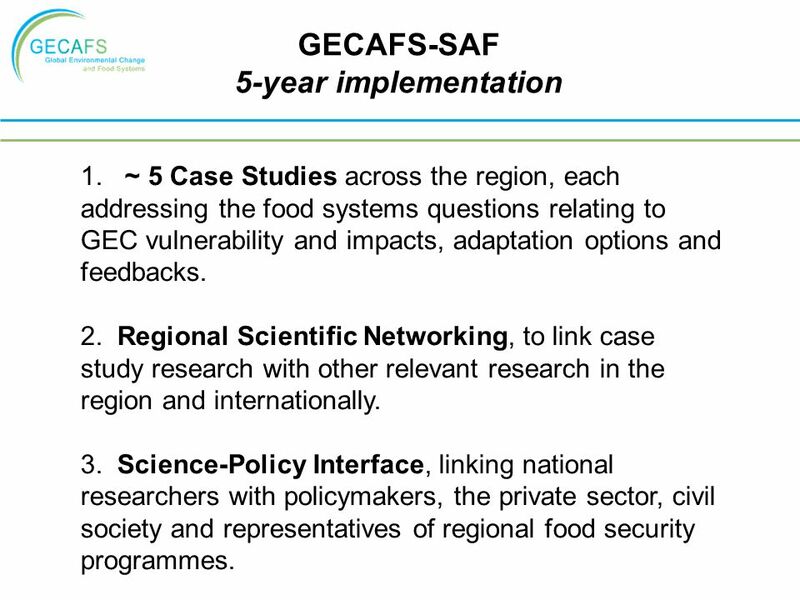 Highlights 1.Background –SADC –FANRPAN Establishment & Objectives 2.Mission 3.Operational Structure –Institutional Framework –Organisational Structure. 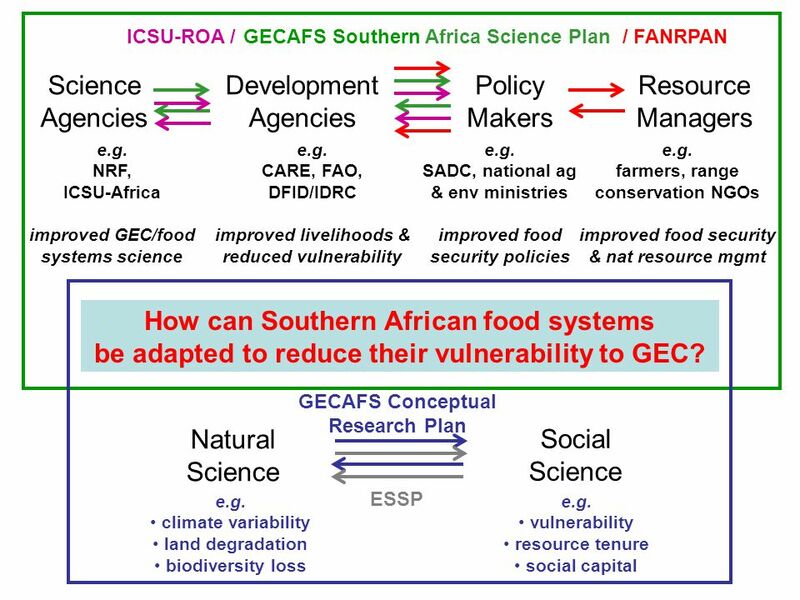 Strengthening Capacity of Farmer Based Organisations in SADC. 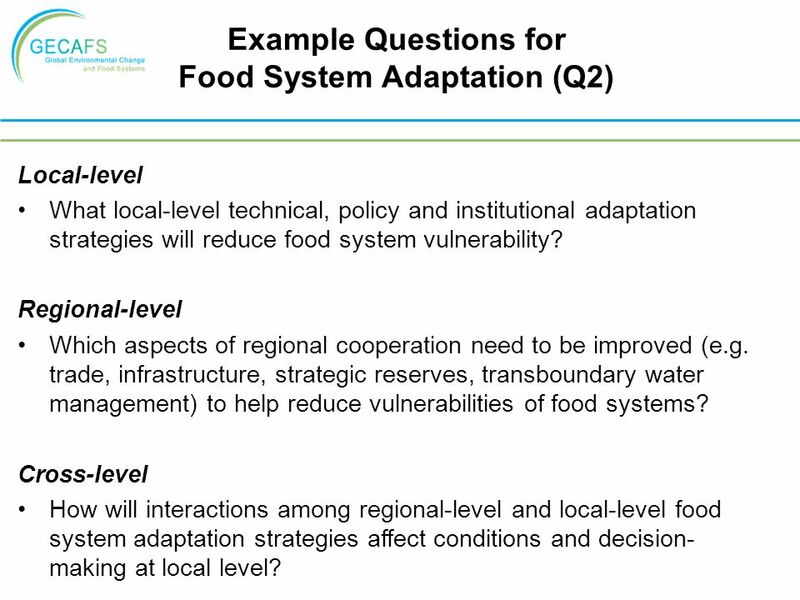 Food Security and Sustainable Development Report on the Implementation of the Sub-programme 20 October 2011. 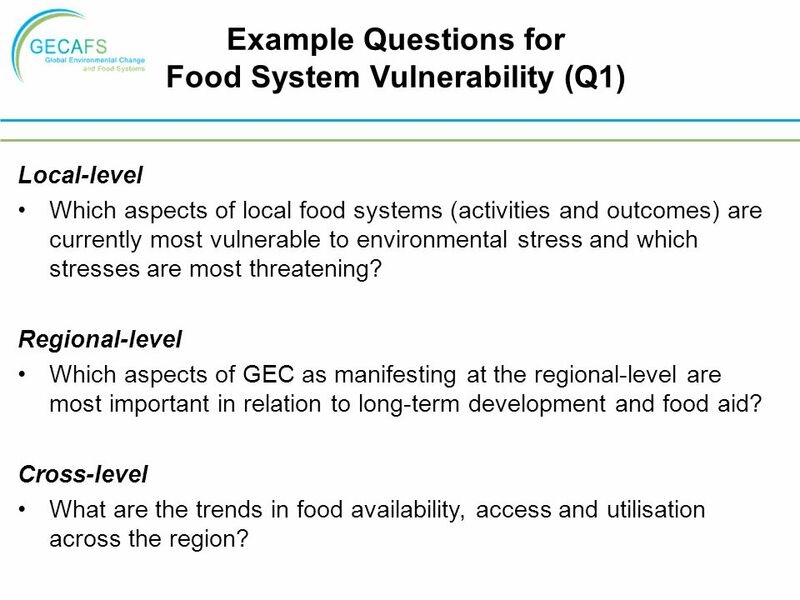 AIDS and Food Security: New Directions Stuart Gillespie International Food Policy Research Institute 14 March, Geneva. 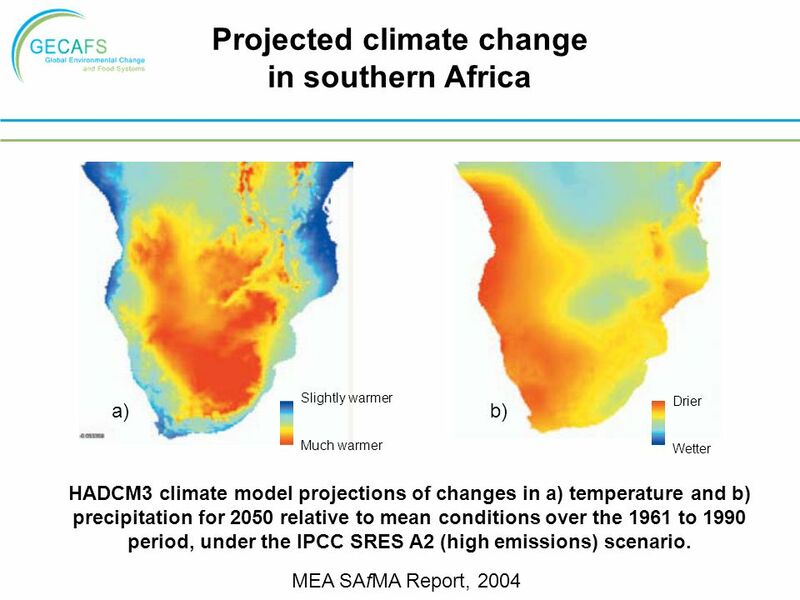 Climate change and Environmental Degradation Risk and Adaptation assessment Step 2 Collect scientific information.